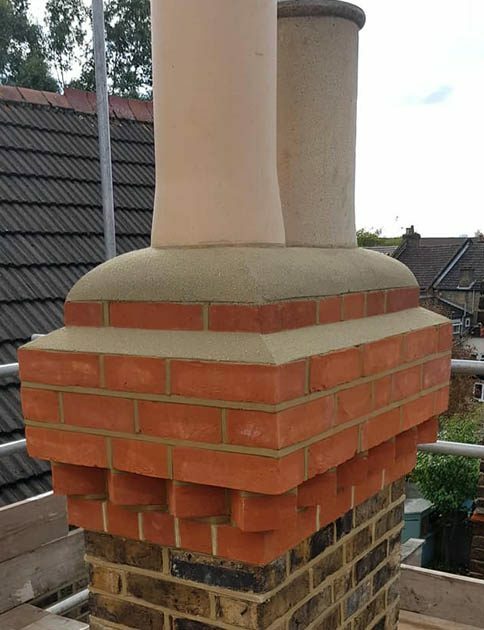 Wanstead Decorative Chimney Stack Rebuild. This tall stack was leaning over excessively towards the clients roof.. the only option was to rebuild it. 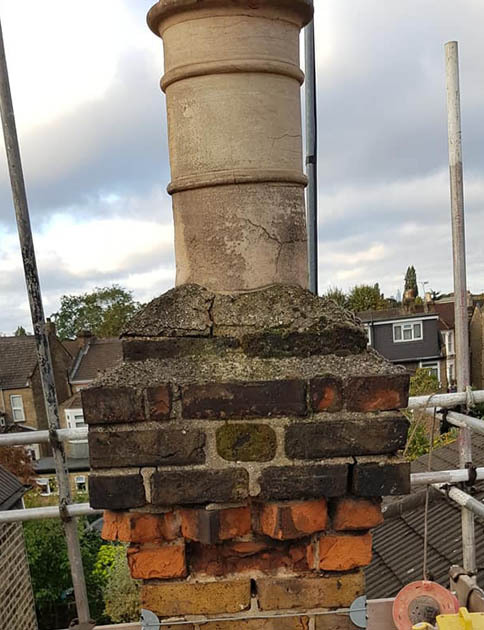 Re-instating the decorative soft red brick courses to the uppermost area of the stack was more costly but more than worth it as it is clearly visible when looking at the front of the property. Client is over the moon with the final finish. Missing accomplished! !